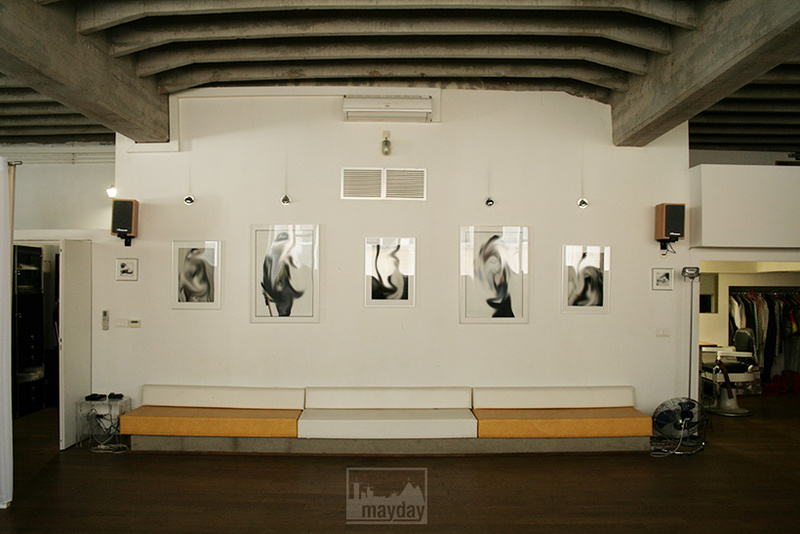 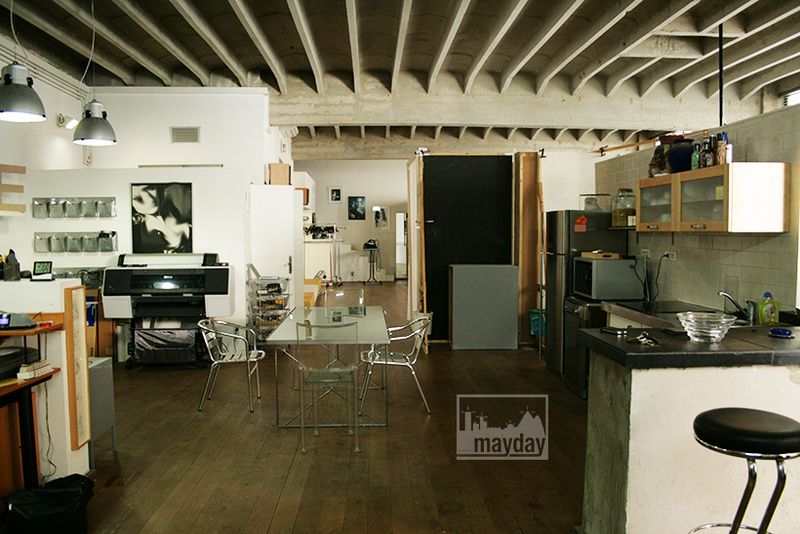 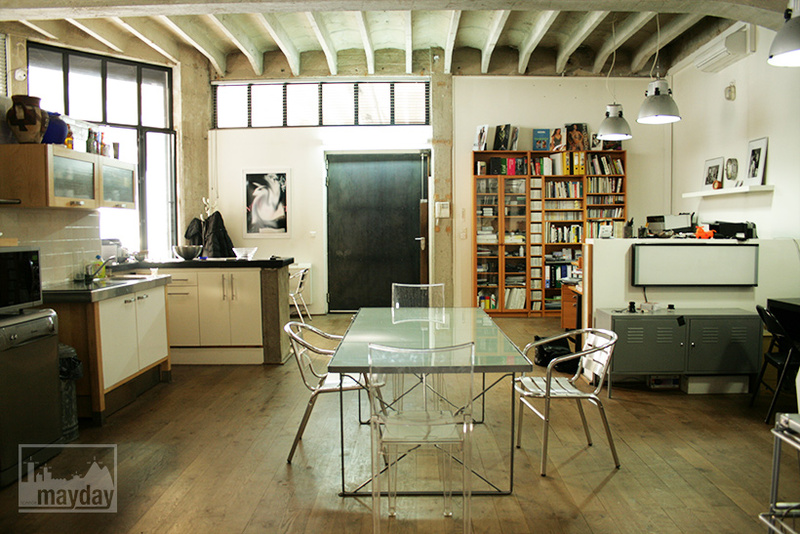 The photographer’s loft (jean0026) | Agence Mayday, scouting agency | Best location for your project concerning : feature films, TV, commercials, promos, photo shoot & events. 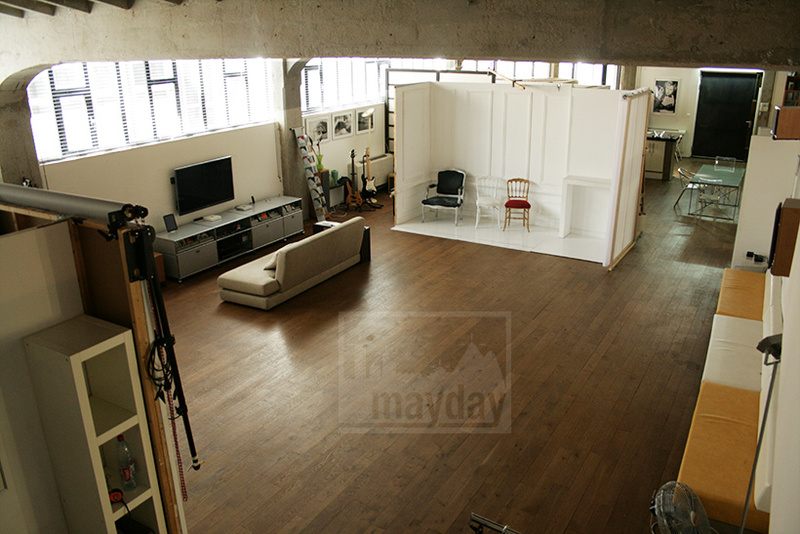 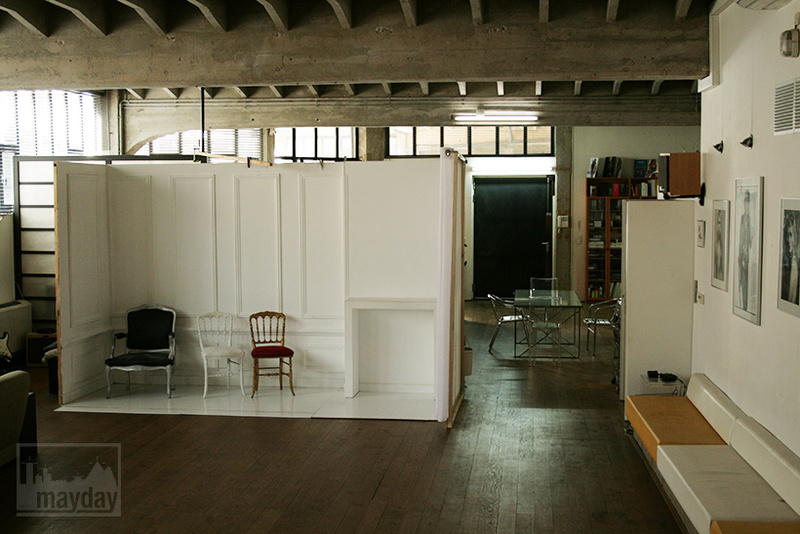 Photo studio in a 220 square meter loft in a renovated factory. 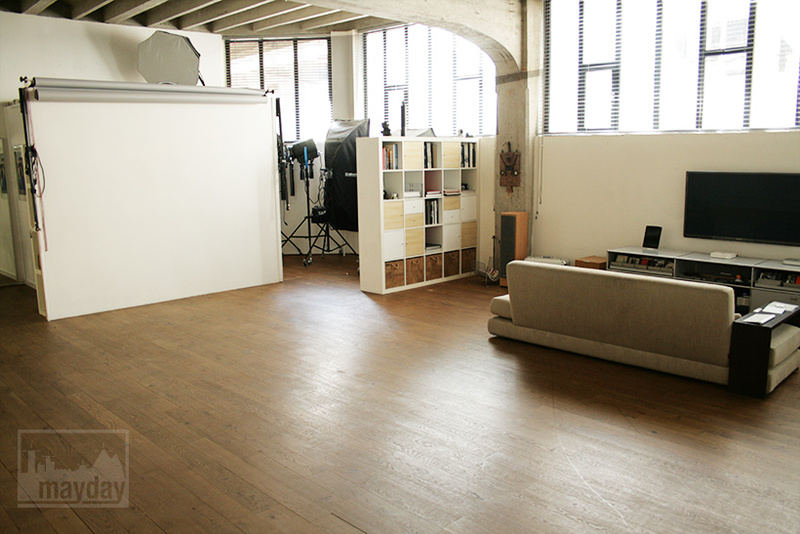 This open space comprises a living part with a kitchen, an office, a bathroom, a mezzanine bed and a photo studio with photographic backgrounds, a screening room and a dressing room. 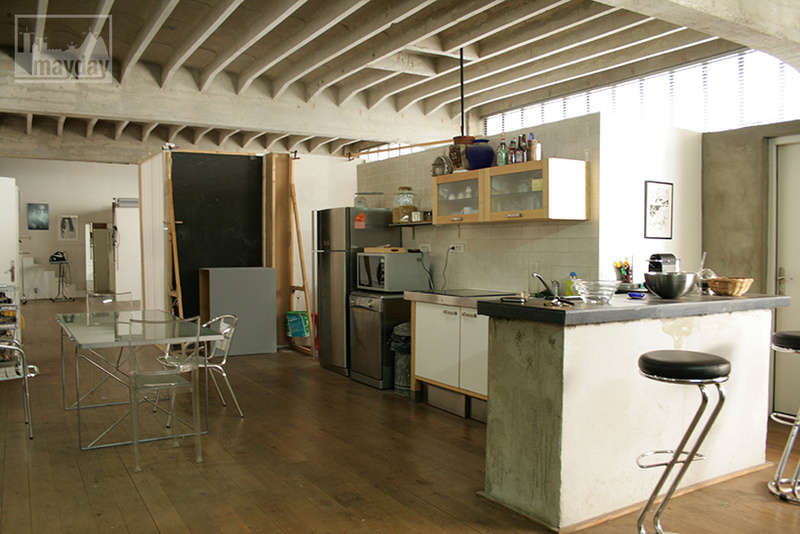 Raw concrete, wooden parquet and industrial décoration.